Chaucer: The Basics is an accessible introduction to the works of Geoffrey Chaucer. It provides a clear critical analysis of the texts, while also providing some necessary background to key medieval ideas and the historical period in which he lived. 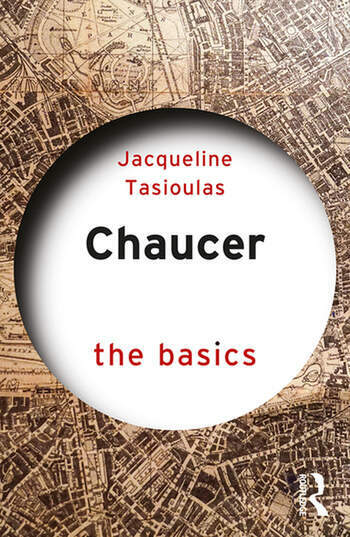 Jacqueline Tasioulas gives a brief account of Chaucer’s life in its historical and cultural context and also introduces the reader to some of the key religious and philosophical ideas of the period. The essentials of the language and pronunciation are introduced through close reading in a section dedicated to demystifying this often alien seeming aspect of studying Chaucer. With glosses and translations of texts, a glossary of key terms and a timeline this book is essential reading for anyone studying Chaucer and Medieval Literature. Jacqueline Tasioulas is Director of Studies in English at Clare College, Cambridge, UK.